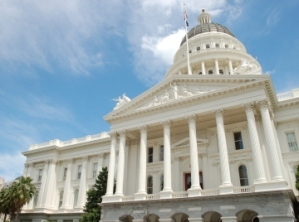 AGC's Government Relations Department draws on its extensive experience and contacts in both California and Washington to meet the goals of its clients. The Firm's attorneys have served on school boards, city councils, and local government commissions, and have managed local, state, and federal campaigns. These experiences make AGC uniquely qualified to develop, advocate, and implement integrated business, legal, and government strategies and activities on behalf of its clients. The Firm has also crafted important legislation on behalf of many municipal clients, improving the quality of life in its clients' communities and advancing important interests for all Californians. AGC's attorneys pride themselves on staying abreast of legislative developments before, during, and after enactment, allowing the Firm to provide solutions to clients often before new legal problems arise. As such, AGC is uniquely qualified to provide successful government relations strategies to the Firm's clients. Through the Firm's extensive contacts in local communities, in Sacramento, and in Washington, D.C., AGC is able to forge direct links between its clients and policymakers, putting clients in contact with the legislators, administrators, and staff responsible for shaping the legal landscape in California and the nation. The Firm's attorneys have the experience to advise not only compliance with the law, but actually mold policy and change the legal landscape in which its clients operate.